Meshad or Khorassan, the “Province of the Sun” in northeast Persia, has woven interesting rugs since the late 16th century. In the later 19th century high quality room size carpets began to be produced, especially in the Shrine city of Meshed. Emogli and Saber were among the master weavers working there in the 20th century creating carpets the equals of any produced anywhere. 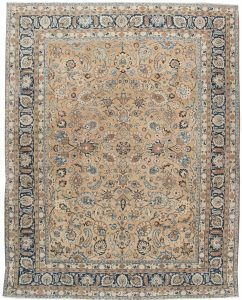 Antique rugs and carpets produced in Meshad in the traditional style are notable for several reasons, and are relatively easily identified based on several different characteristics. 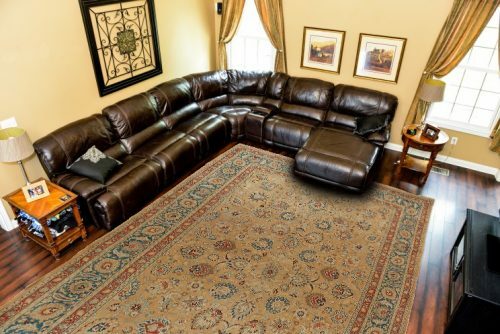 First, Meshad rugs tend to be larger pieces. They also tend to feature a large, elaborate central medallion – a characteristic that is not unique to Meshad rugs, but that is nevertheless important.